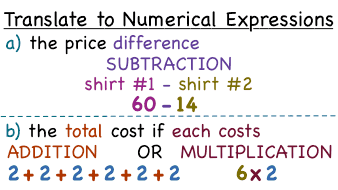 How Do You Translate Phrases into Numerical Expressions? Turning a phrase from words to a math problem can be tricky, but practice can make this process easier! In this tutorial, you'll see how to look for key words that can help you translate a phrase into math.